Social media, websites, online stores, blogging, email marketing…as if small business owners weren’t busy enough when the advent of the internet created new forms of marketing and advertising that they needed to add in to their regular marketing and advertising tasks. And because all of these online marketing tasks meant there needed to be new learning, processes and best practices, it also meant that social media, websites, and the like were often seen and treated as add-ons to what they were already doing to market their small business. Basically, online marketing initially turned into extra tasks that needed to be figured out and fit in to an already-overbooked schedule. 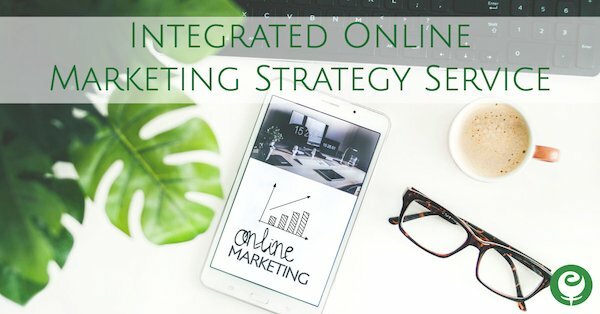 To truly maximize your marketing and advertising, you need to develop an integrated marketing plan that pulls in all of your offline (or traditional) marketing and advertising, with everything you are doing online through your website, online store, blog, email newsletters, and social media. For those small businesses who sell primarily online, an integrated marketing strategy will look a little different than those who have a brick and mortar store. But the goal of achieving a single, cohesive marketing plan for your small business is that any and all marketing and advertising tools you are using, are integrated with one another and working in an organized, complementary, and effective way. We’ve also developed content plans and calendars to help our clients manage their day-to-day online marketing tasks. Our Integrated Online Marketing Strategy services have been designed for small businesses who are ready to stop thinking about their social media and online marketing tasks as separate add-ons to the rest of the business, and putting these new tools to good use for your business. We work alongside small business owners who want hands-on help both developing and implementing a marketing strategy that maximizes the effectiveness of everything they are doing to market their business, and ensures that they are using the right tools and platforms, at the correct frequency and messaging, in a cohesive and complementary way. It doesn’t matter if it’s all online or a mix of online and offline tactics. And it doesn’t matter if you are just getting started with marketing your small business online, or if you already have an online presence that you want to up-level. We have 3 integrated online marketing strategy service packages to choose from. Designed for small businesses and independent professionals who want to get setup correctly and started off on the right foot with their online marketing. This online marketing strategy package will include determining what social media platforms and online marketing tactics are best for your business and the time you have to dedicate to them. It also will help you identify your content plan and overall marketing calendar. Discovery session to learn more about your business and products/services, your goals for your online marketing as well as for your business and sales, what hurdles you have to overcome to make your online marketing a success, the amount of time each day and week you have to dedicate to all of your marketing, and how many/which people on your work team will be executing some or all parts of your online marketing. 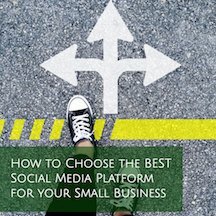 Determine which social media platforms and online marketing tactics (blogging, video, podcasting, email marketing, etc.) are best to utilize, and the recommended level of activity for each, and what needs to be established. Determine the content mix, what type and how frequently content will be created for use in your marketing, sources for curated content, and who on your team will be responsible for each. Setup and verify Google Analytics and Webmaster Tools accounts for your website, online store or blog. Design processes and work flows for you and your team to efficiently and easily execute on the above tasks. Create a week-long sample posting calendar to utilize as a template for future online marketing content planning and organization. Post-implementation of your new integrated online marketing strategy, 30, 60 and 90 day check-ins will take place either on the phone or over email. Our Leveling Up Online Marketing Strategy is ideal for established small businesses that have already been putting to use some online marketing tools and tactics. This integrated online marketing strategy option incorporates audits of your existing online properties, a review of your website analytics, and website SEO. Assessment of any offline marketing and advertising. Following implementation of your new online marketing strategy, 30, 60 and 90 day check-ins will take place either on the phone or over email. Our Refine & Optimize Online Marketing Strategy is ideal for established small businesses that are searching for ways to tighten up their existing processes, and fine tune their online properties, voice, messaging and SEO. This service package adds in competitive research, audience targeting & personalization help, Webmaster Tools analysis, and deeper SEO work. All 3 integrated online marketing strategy service packages are long(er) term partnerships that span 3-6 months for completion of the full strategy development plus a 90 period that includes monthly check-ins to assess progress, answer questions that arise, and make any needed modifications. If you are interested to learn more about any of these integrated online marketing strategy service packages, contact us via the form below for questions or to get started. Or, call us at 901-496-3902. Well done, Liz. The business communities needed this explanation from Eli Rose. I hope they take advantage of your services. I know I will when needed! Blog Posts in your Inbox! Grab your Free Guide Now! Sign Up For Insider Tips! It's chock full of goodness made available only to subscribers, and not published on our blog!